Schools are back and summer is on the way. It’s always a concern that your child is getting enough water to drink during their busy school day. Fortunately, school water coolers are pretty much de rigeur in schools across the length and breadth of the U.K. But what can you do, as parents, to help reinforce your children’s healthy hydration habits when they’re not with you during the day? The amount of fluid a child needs depends on many factors including age, gender, weather and how much physical activity they get but generally children should aim to have six to eight drinks per day which should ideally be water (on top of the water provided by food in the diet). Younger children need relatively small servings (e.g. 150ml per drink) and older children need larger servings (e.g. 250-300ml per drink). Children should be encouraged to sip fluids at regular intervals throughout the day – a lot of children drink fluids at the end of the day when feelings of dehydration have already started to set in. 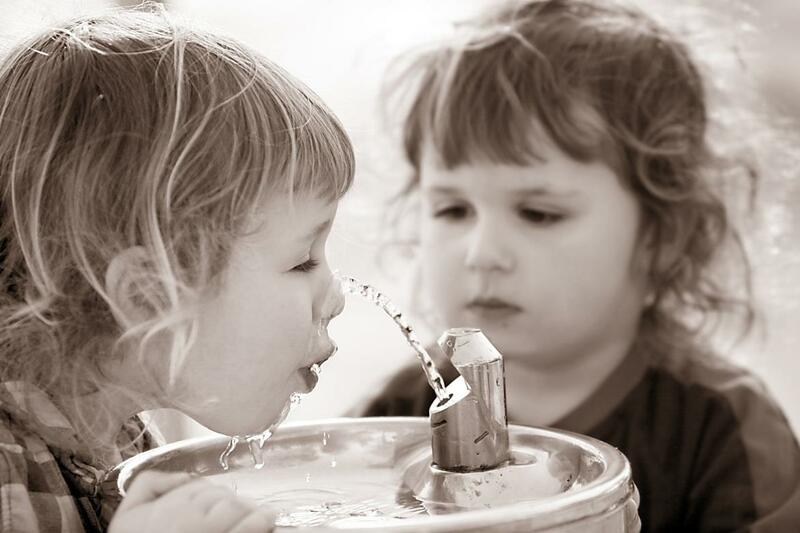 Start good hydration habits at home by setting an example for your children. Make sure you drink enough water and you’ll soon get them into the habit – young children love to emulate what mom or dad is doing! Plus, of course, you’ll be doing not just your kids but yourself a favour too! Do a tour of the school yourself whenever your children start at a new school and make sure that there are sufficient water cooler stations with easy access for the children. Simple measures, like the addition of a bottle of water to the school lunchbox or backpack can always help to reinforce your children to keep hydrated. If straws are approved by the school and are appropriate for your child’s age, include a bendy straw, it will, without doubt, add interest to drinking the bottle’s contents, even if it is water! You don’t have to stick with just water, but be aware of the calorie count in other drinks such as fruit juices and soft drinks (in fact, perhaps try to stay away from soft drinks, or in fact, anything with fizz in it). Perhaps look at weak squash or diluted fruit juices.